January 26, 2016 – Moira Waugh is a spellbinding storyteller with her lyrics. She delivers them with captivating sincerity and a beautiful, expressive voice. Siobhan Dakay composes sensitive jazzy pop compositions to amplify Moira’s vocals. When you listen to The Wrong Girl, you’ll hear their natural affinity. Thinkroot Records is thrilled to announce the February 9, 2016 release of the first single from The Wrong Girl, “How Lucky I Am,” with the full album and video contest launch on February 26, 2016. Moira Waugh is a British singer/songwriter living in Florida. She has been writing since she was eight years old, beginning with a series of short stories about the family cats forming a pop group. In 2009, she diversified into singing and writing lyrics for her own songs, joining a multi-talented and international music community on ccMixter.org which inspired her to create a catalogue of songs that have been remixed many times and used in films. This is where Moira Waugh and Siobhan Dakay connected and commenced their jazz pop collaborations. Siobhan Dakay is the pseudonym of Heiko Specht, a producer/musician residing in Munich, Germany. His alias denotes the musical mood he creates. Siobhan stands for graceful and Dakay represents the melancholic and dark aspects of his compositions. Siobhan Dakay uses Moira Waugh’s melodies, lyrics, and vocal performance as the starting point to conceive the backing tracks for the songs. “I musically grew up in the 70s/80s” Siobhan answers asked for her roots. Siobhan adds “When you grow up as a child listening to Bacharach, Carpenters and even ABBA and experience your first heartbrokenness listening to the Smiths, Cure and “The Bible” these feeling and emotions automatically influences in the creative process of building harmonies”. The Wrong Girl is a full album with thirteen tracks and three upcoming singles: “How Lucky I Am” (February 9, 2016 release date), “Small Back Room” (March 15, 2016 release date), and “Garnet Wine” (March 29, 2016 release date). It was professionally mixed by Marcel Filler and mastered by Christoph Stickel to ensure a sonically enhanced listening experience. On the February 26th album release date, a video contest with $1500 of cash prizes will launch with submissions accepted through April 30, 2016. 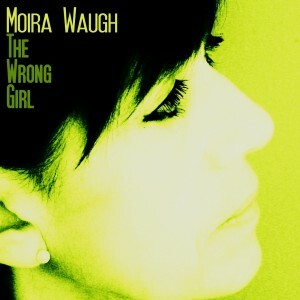 To support Moira Waugh and Siobhan Dakay’s music, purchase The Wrong Girl from https://moirawaugh.bandcamp.com/ or your favorite digital store (i.e. iTunes, Google Play, Amazon, Spotify, etc.) upon release. Thinkroot Records offers custom and ready to license music for your video game, advertising, film, and unique needs created by an international team of musicians and producers. Everything on Thinkroot Records is released with a Creative Commons License to encourage and participate in sharing culture.